Game days are for team pride and new styles! 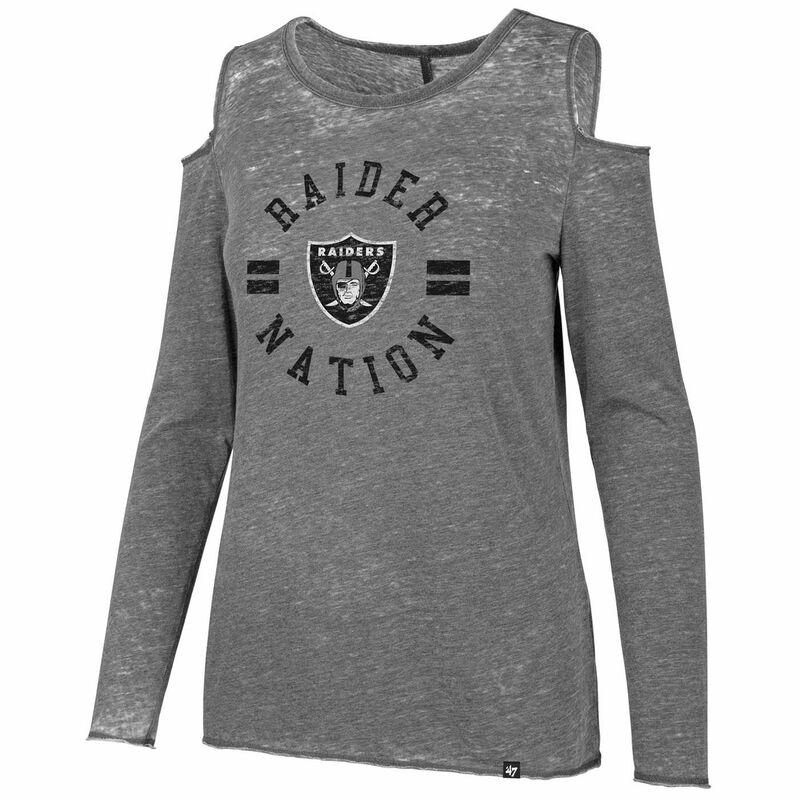 Throw on the Raiders 47 Brand Fade Out Cold Shoulder Tee to show off your team with a stylish, vintage long sleeve! This tee features distressed, screen printed graphics over a burnout heathered wash. 51% cotton, 49% polyester.